Involve citizens in shaping your projects in positive ways that build trust within your community and contribute to better outcomes. 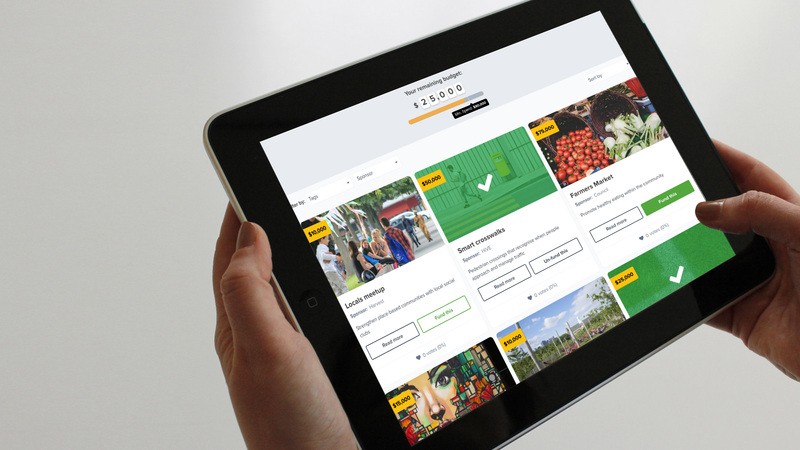 With a suite of powerful participation tools, you can craft a range of meaningful ways to identify issues, gather local knowledge, and explore ideas and solutions. Collect map-based feedback from your users to learn more about your places and planning proposals. Collect short and snappy comments from users using a simple and fun activity. A flexible form tool that can be used on anything from complex user surveys to single engaging questions. Drive thematic or topic-based online discussions. 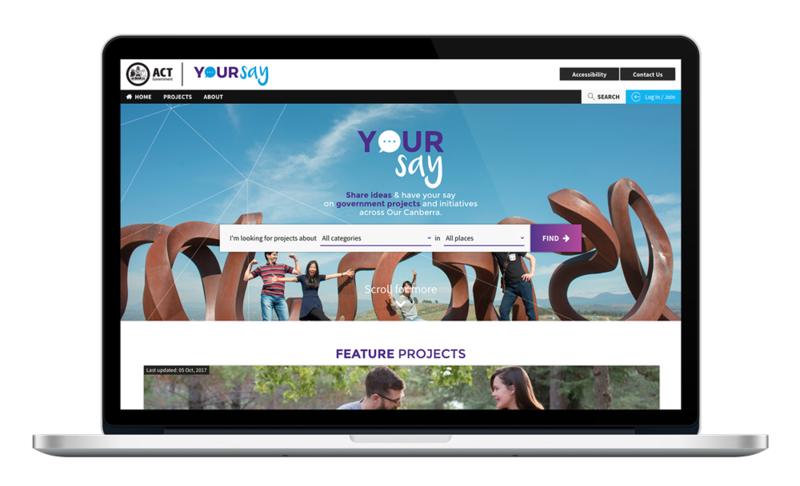 Build great looking project websites that capture the attention of your citizens, enhance public engagement and encourage participation. 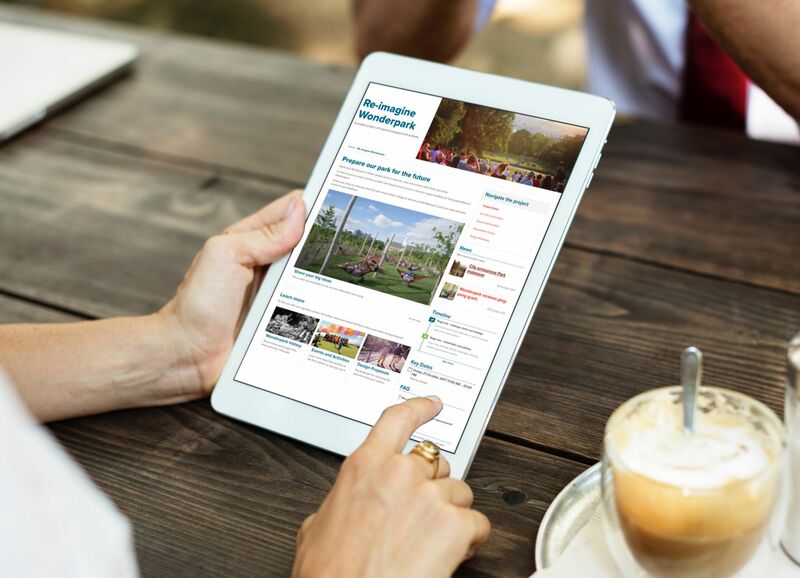 Tailor web content to your specific needs using the intuitive, drag and drop web builder. With over 25 content tools and a range of page templates to choose from, you'll feel like a professional web designer. 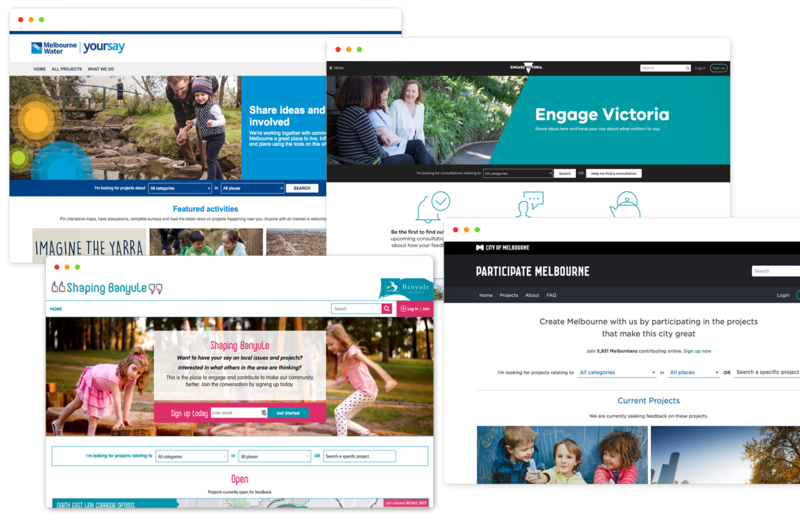 Build a single portal for your online engagement activities and manage multiple projects, participation apps, users and data from one convenient location. Group projects into teams and control a range of user permissions including authoring, publishing, data access and more. Build a passionate online community to promote active participation and learn more about the needs of your audience. Expand your reach and engage hard to reach segments of your community to achieve greater representation. From small organisations to whole-of-government entities, The HiVE provides solutions at any scale. 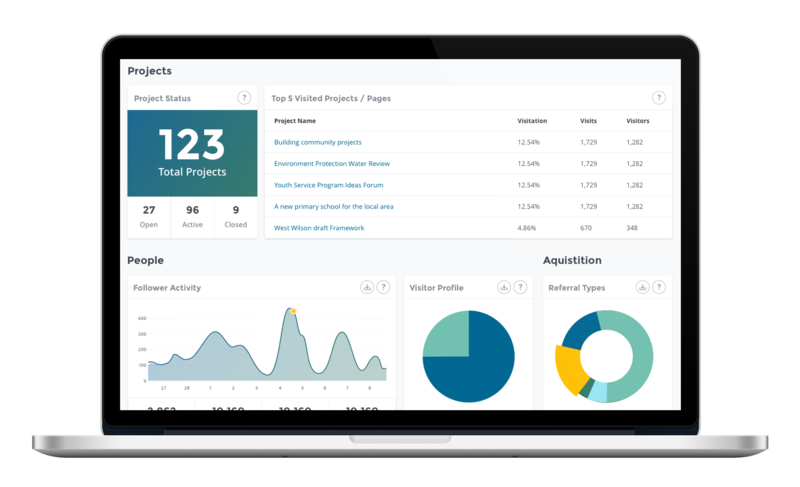 Better understand what people are talking about and who they are through a suite of integrated reporting features. Track your engagement performance to learn how people have engaged with your campaigns. Our service is designed to be secure, reliable, compliant and supportive.